The world of video games is changing. Systems that were once designed for kids’ entertainment have become mainstreamed for the whole family with access to movies, music and TV shows, as well as sports and fitness. They’ve become common ground for multiple generations to hang out and have fun together. Nintendo led the way with its Nintendo Wii and gesture-based Wii controller in 2006 and aims to do the same with the Wii U, due on stores shelves November 18, 2012, with an innovative 6.2-inch touchscreen game controller. Here's what to expect. The signature of the system is a controller with a 6.2-inch touchscreen, two analog thumbsticks, a forward-facing camera, a number of buttons and a gyroscopic sensor. The Wii U’s gamepad unlocks a host of gameplay innovations. Solo players can use the pad as a controller, as an interface for extra menus, tracking your inventory during games, and generally as an enhancement to action on the TV. It can also be used as the only display. 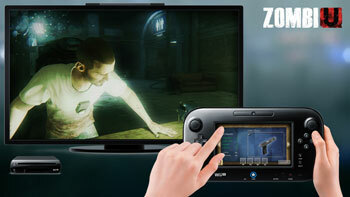 In multiplayer gaming, one player will view the action on his or her gamepad, while the other uses the TV, so both get a full, as opposed to split-screen, view. 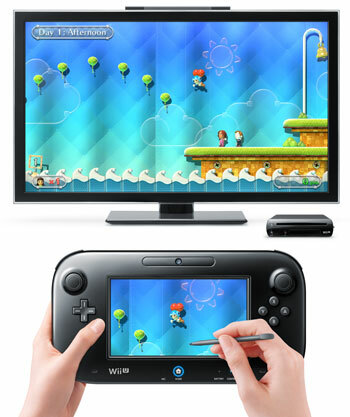 The Wii U's multi-core processor is capable of running HD games at 60 frames per second. It will also accept and play all your old, standard-definition Wii games and use up to four traditional Wii Remote controllers. But the Wii U only ships the single touchscreen controller, so you'll need to buy additional Wii Remotes for multiplayer, if you don't already have them. There are only two games that have been identified as launch titles: Nintendo Land, Nintendo's flagship game pack that comes the Deluxe version of Wii U, and New Super Mario U. Nintendo did confirm 50 games within a “launch window” that extends from November 18 through March. There was also no news on the price of games, but it’s a safe bet they’ll be competitive with Xbox 360 and PS3 titles. No Nintendo hardware launch would be complete without a new Mario game, and this one won’t disappoint. 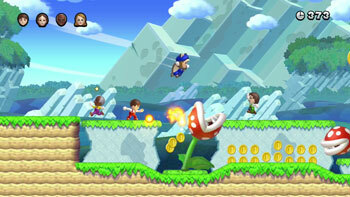 The Wii U-specific addition of multi-player cooperative play will add many fun challenges. Also on tap is the ability to bring your Mii avatar into the game as a playable character. 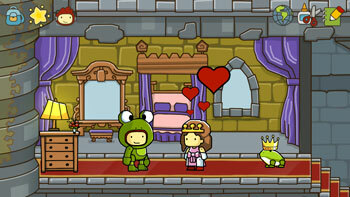 A vast array of tools lets you draw and assemble characters and object that come to life in the open-world adventure. Players can even type the name of an object onto the gamepad and it appears in the game itself. The most significant update to the blockbuster shooter franchise here is the ability for two players – as team mates or enemies – to play full screen, one on the TV, the other using the gamepad screen. This mature-rated game has players roaming a zombie-infested London. 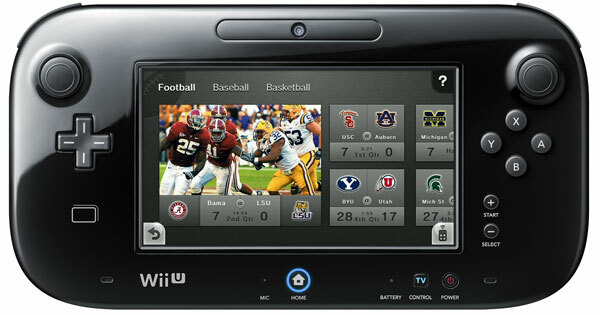 The Wii U gamepad serves as controller and a source of supplemental functions such as scanner, sniper rifle scope and inventory screen. Nintendo moves beyond gaming with a compelling video entertainment app, Nintendo TVii. The app gives users access to streaming video services, including Netflix, Hulu and Amazon movies, to sports and to live TV. Plus, TiVo subscribers can access content they've recorded. Cooler still, you can see what friends in your network are watching and interact with them as you watch a show, movie or sporting event. While watching movies, you can access reviews, the IMDb database and Wikipedia. For sports, your favorite teams are listed first and you can see scores from the listings. There’s even Twitter and Facebook integration. TVii also recommends programs based on your favorite shows and those of your friends. With support for up to 10 profiles, each household member can have their own. And if you're watching together, you can load everyone's profiles for a combined recommendation list that abides by the parental controls of the youngest member. And if everyone can't agree, someone can watch a show or movie on the gamepad while others view something completely different on the main TV. In short, for true interactive movie, TV and sports viewing Nintendo TVii is remarkable stuff and it's free with purchase of the console. Though, you’ll still have TiVo and cable charges if you’re using live and recorded TV options. And, of course, you’ll still need to pay your monthly Netflix fee to use that service. Keep in mind that Xbox 360 users have had similar options for a while (though they have to pay an additional monthly charge for Xbox Live to access Netflix and Hulu Plus). Xbox has apps for ESPN, Comedy Central, Nickelodeon, HBO (for subscribers), many major sports leagues and even Verizon FiOS, among others. Microsoft’s Zune Video service allows for on demand movie purchases. There's Twitter and Facebook integration as part of the Xbox 360 experience, too. For $299 you can get the basic version of Wii U, which includes the console, the GamePad, 8GB of on-board memory, AC adapters for the console and controller, a sensor bar and an HDMI cable. 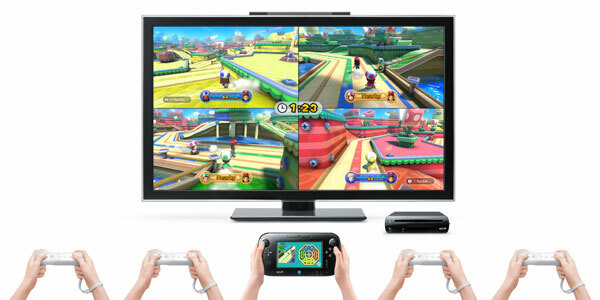 The hardware is white and does not include any Wii Remotes, which are required for many multiplayer games. The Deluxe Set will be $349 and comes only in black. It has 32GB of on-board memory, a console stand, a charging cradle for the GamePad and a membership in something called the Deluxe Digital Promotion (DDP), which will provide discounts for digital downloads, through 2014. The Deluxe version comes with Wii U flagship game Nintendo Land bundled in. Note that GameStop stores are now offering a $50 trade-in price for your Wii if you use it toward pre-order of the Wii U.
I got to attend a preview event where I got to play ZombieU and I really enjoyed it, not sure how fast I’ll jump on the WiiU bandwagon just to play that one game however! Speaking to The Telegraph, the Nintendo president explained that the idea for the new console was born out the idea to allow a game to be played while the rest of the family is using the telly. But: “Sometime during that final discussion we almost gave up on the idea of the additional screen but <a >display controller</a> give the excellent results. This console did not attract much of my attention. I still think that the XBOX/Kinect combo is a better deal.